There is a myth that science and religion are opposed to each other, but the truth is that they are not. However, religion is opposed to the ideology of certain scientists who are promoting their own atheist world view as fact. The ideology is called scientific materialism, which is the belief that matter and blind chance are all there is in the universe. This ideology treats everything spiritual as superstition, and they see their role in life to eradicate superstition, so that we can all be as logical and rational as they are. Science is now being taught in a lot of classrooms through this very dark prism. WHAT REALLY CAUSED THE DARK AGES? NOT THE CATHOLIC CHURCH! FOR SURE! 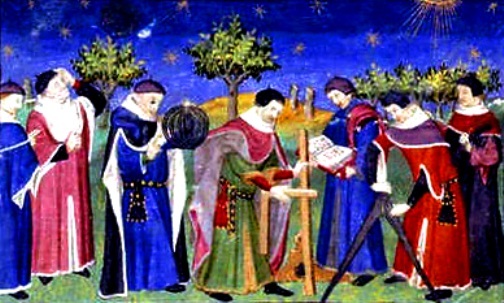 Historically, just the opposite is true – there has been a blending of science and religion that has led to many important discoveries, many by Catholic priests, such as Father Gregor Mendel (the father of genetics), Father Roger Bacon (the scientific method), Monsignor George Lemaitre (inventor of the big bang theory), Father Marin Mersenne (acoustics), Father William of Ockham (logic), and Father Henri Breuil (Geology). And the Vatican Observatory has been involved with astronomy longer than anyone else. There are numerous craters on the moon named after their discoverers, Jesuit priests, like Mario Bettinus and Guiseppe Biancani. Everyone knows about Galileo, but what most people don’t know is that Galileo was put under house arrest (a very nice house, BTW) for preaching the theory of heliocentricity (the theory that the earth revolved around the sun) as fact, when he did not have proof for it yet. The Catholic Church was the National Science Foundation of its day, and it carefully guarded what was taught in its universities as fact, and what was taught as theory. Copernicus, a Catholic Priest, taught the exact same theory of heliocentricity in the century before Galileo, but presented it as a theory only, rather than as an absolute fact. Galileo promised to do the same, but lied. When he published his book on it, which presented it as fact, and ALSO told the Church that it had to reinterpret scripture to accommodate his findings, he had crossed the line with the Pope, who, BTW, was lampooned in Galileo’s book. For the record, Galileo also believed that the ocean’s tides were caused by the rotation of the earth (they are caused by lunar gravity, not the rotation of the earth), AND that the earth’s orbit around the sun is a perfect circle (in fact, it is elliptical). So Galileo was certainly not infallible in his teachings, and he bucked the scientific authority of his day by presenting his theory as fact. This battle is analogous to the theory of evolution being taught as fact (which a lot of protestants today object to, because it isn’t proven science), as well as the theory of man-made global warming being taught as fact (it has not been proven to be a fact that the activity of man is a significant contributor to the earth’s temperature, in spite of what certain politicians may think and preach). The reason Western Europe was the region that so many scientific discoveries came from was because of the influence of the Judeo-Christian culture there, which believed that the laws of nature were given to us by a rational and orderly God. This was how many Catholics and other religious people approached their subjects. Copernicus, Galileo, Newton, Kepler, Faraday, Maxwell, and Pasteur were all very religious men. However, the so-called “Age of Enlightenment” in the 18th Century started the ball rolling toward an atheistic look at science, rather than a religious one. Rationalism and logic in created things replaced a belief in the Creator that designed and spoke these created things into existence. Scientists became so enthralled with the details of the beauty of nature that they failed to see the idolatry in believing that they somehow created themselves out of nothing. Somehow, living matter was created from inanimate matter! Your computer is a wonder of design, but it certainly didn’t create itself, and neither did the complex software code that runs your computer. The laws of nature that designed the universe didn’t just happen on their own like some enlightened scientists thought. They are God’s laws, not accidents. Even Einstein once said that “God doesn’t play dice” when it comes to nature. For the record, the Catholic Church has said that the as yet unproven theory of Evolution, or how bodies developed in nature, is not incompatible with scripture, since God is both the designer and the changer of matter. On the other hand, Darwinism, which teaches that there is no God and the animals’ characteristics happened on their own without a master creator, is incompatible with the bible. The Church does teach that the human soul was created by God as is, and did not evolve from some lesser life form, which takes the debate to a whole different level. Of course, atheistic scientists deny that there is a soul, so it’s a moot point for them. Both Cardinal John Henry Newman and GK Chesterton both said that the belief in evolution is OK if it is accomplished through God’s providence. Bottom line is that all of us have a meaning and a purpose in life, and we are supposed to be here at this time because it’s by God’s design. The Darwinists and their eugenic spin would have us all believe that we are just accidental animals. Again, the conflict isn’t between religion and science; rather it’s a conflict between religion and certain atheists who put their own personal ideological spin on science. The world is indeed intelligently designed, and this is so obvious if one studies the reproductive systems of men and women, the water cycle, the genetic code, the human eye, the human brain, the human immune system, the five human senses, the timing and order of the sun, the earth, the moon, and the stars, etc. And it’s important to remember that most big bangs normally create chaos and ugliness – just look at what happens after an earthquake or a volcano occurring near a large city. But in the case of THE Big Bang, the world and the universe with all of its timing and beauty occurred, which would lead a logical person to come to the conclusion that there was a master big banger behind it all, with a plan and a purpose, namely, GOD ! For a more complete list of Catholic scientists, click here. A great debate once took place between Clarence Darrow (the ACLU agnostic from the Scopes Monkey Trial) and the great Catholic writer GK Chesterton. Click here to watch a re-creation of it! Wisdom 13: 1-9: For all men who were ignorant of God were foolish by nature; and they were unable from the good things that are seen to know him who exists, nor did they recognize the craftsman while paying heed to his works; but they supposed that either fire or wind or swift air, or the circle of the stars, or turbulent water, or the luminaries of heaven were the gods that rule the world. If through delight in the beauty of these things men assumed them to be gods, let them know how much better than these is their Lord, for the author of beauty created them. And if men were amazed at their power and working, let them perceive from them how much more powerful is he who formed them. For from the greatness and beauty of created things comes a corresponding perception of their Creator. Yet these men are little to be blamed, for perhaps they go astray while seeking God and desiring to find him. For as they live among his works they keep searching, and they trust in what they see, because the things that are seen are beautiful. Yet again, not even they are to be excused; for if they had the power to know so much that they could investigate the world, how did they fail to find sooner the Lord of these things? Job 38:1-41: Then the LORD answered Job out of the whirlwind: "Who is this that darkens counsel by words without knowledge? Gird up your loins like a man, I will question you, and you shall declare to me. "Where were you when I laid the foundation of the earth? Tell me, if you have understanding. Who determined its measurements -- surely you know! Or who stretched the line upon it? On what were its bases sunk, or who laid its cornerstone, when the morning stars sang together, and all the sons of God shouted for joy? "Or who shut in the sea with doors, when it burst forth from the womb; when I made clouds its garment, and thick darkness its swaddling band, and prescribed bounds for it, and set bars and doors, and said, `Thus far shall you come, and no farther, and here shall your proud waves be stayed'? "Have you commanded the morning since your days began, and caused the dawn to know its place, that it might take hold of the skirts of the earth, and the wicked be shaken out of it? It is changed like clay under the seal, and it is dyed like a garment. From the wicked their light is withheld, and their uplifted arm is broken. "Have you entered into the springs of the sea, or walked in the recesses of the deep? Have the gates of death been revealed to you, or have you seen the gates of deep darkness? Have you comprehended the expanse of the earth? Declare, if you know all this. "Where is the way to the dwelling of light, and where is the place of darkness, that you may take it to its territory and that you may discern the paths to its home? You know, for you were born then, and the number of your days is great! "Have you entered the storehouses of the snow, or have you seen the storehouses of the hail, which I have reserved for the time of trouble, for the day of battle and war? What is the way to the place where the light is distributed, or where the east wind is scattered upon the earth? "Who has cleft a channel for the torrents of rain, and a way for the thunderbolt, to bring rain on a land where no man is, on the desert in which there is no man; to satisfy the waste and desolate land, and to make the ground put forth grass? "Has the rain a father, or who has begotten the drops of dew? From whose womb did the ice come forth, and who has given birth to the hoarfrost of heaven? The waters become hard like stone, and the face of the deep is frozen. "Can you bind the chains of the Plei'ades, or loose the cords of Orion? Can you lead forth the Maz'zaroth in their season, or can you guide the Bear with its children? 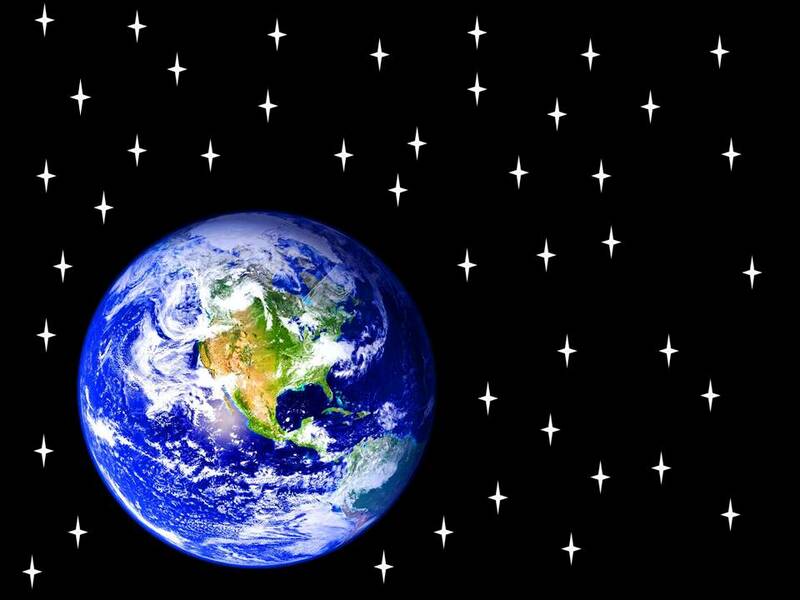 Do you know the ordinances of the heavens? Can you establish their rule on the earth? "Can you lift up your voice to the clouds, that a flood of waters may cover you? Can you send forth lightnings, that they may go and say to you, `Here we are'? Who has put wisdom in the clouds, or given understanding to the mists? Who can number the clouds by wisdom? Or who can tilt the waterskins of the heavens, when the dust runs into a mass and the clods cleave fast together? "Can you hunt the prey for the lion, or satisfy the appetite of the young lions, when they crouch in their dens, or lie in wait in their covert? Who provides for the raven its prey, when its young ones cry to God, and wander about for lack of food? Isaiah 45:18-19: For thus says the LORD, who created the heavens (he is God! ), who formed the earth and made it (he established it; he did not create it a chaos, he formed it to be inhabited! ): "I am the LORD, and there is no other. I did not speak in secret, in a land of darkness; I did not say to the offspring of Jacob, `Seek me in chaos.' I the LORD speak the truth, I declare what is right. Father of Microbiology, developed "pasteurization"
"Without Him, I understand nothing; without Him, all is darkness…Every period has its manias." "I regard Atheism as a mania. It is the malady of the age." "You could take my skin from me more easily than my faith in God." "With regard to the origin of life, science...positively affirms creative power." "....the atheistic idea is so non-sensical that I cannot put it into words." "Without my Savior, I am nothing." "God is going to reveal to us things he never revealed before if we put our hands in his. No books ever go into my laboratory, a thing I am to do and the way of doing it are revealed me." "Scientific concepts exist only in the minds of men. Behind these concepts lies the reality which is being revealed to us, but only by the grace of God." was an English physicist, mathematician, astronomer, alchemist, inventor and natural philosopher. He is often regarded as the most influential scientist in history and is best known for discovering the Laws of Gravity. "Religion is partly fundamental & immutable partly circumstantial & mutable. The first was the Religion of Adam, Enoch, Noah, Abraham Moses Christ & all the saints & consists of two parts our duty towards God & our duty towards man or piety & righteousness, piety which I will here call Godliness & Humanity. Godliness consists in the knowledge love & worship of God, Humanity in love, righteousness & good offices towards man. " "Atheism is so senseless & odious to mankind that it never had many professors. Can it be by accident that all birds beasts & men have their right side & left side alike shaped (except in their bowells) & just two eyes & no more on either side the face & just two ears on either side the head & a nose with two holes & no more between the eyes & one mouth under the nose & either two fore legs or two wings or two arms on the shoulders & two legs on the hips one on either side & no more? Whence arises this uniformity in all their outward shapes but from the counsel & contrivance of an Author? Whence is it that the eyes of all sorts of living creatures are transparent to the very bottom & the only transparent members in the body, having on the outside an hard transparent skin, & within transparent juices with a crystalline Lens in the middle & a pupil before the Lens all of them so truly shaped & fitted for vision, that no Artist can mend them? Did blind chance know that there was light & what was its refraction & fit the eyes of all creatures after the most curious manner to make use of it? These & such like considerations always have & ever will prevail with man kind to believe that there is a being who made all things & has all things in his power & who is therefore to be feared." "Idolatry is a more dangerous crime because it is apt by the authority of Kings & under very specious pretenses to insinuate it self into mankind. Kings being apt to enjoy the honor of their dead ancestors: & it seeming very plausible to honor the souls of Heroes & Saints & to believe that they can hear us & help us & are mediators between God & man & reside & act principally in the temples & statues dedicated to their honor & memory? And yet this being against the principal part of religion is in scripture condemned & detested above all other crimes. The sin consists first in omitting the service of the true God." "The other part of the true religion is our duty to man. We must love our neighbor as our selves, we must be charitable to all men for charity is the greatest of graces, greater then even faith or hope & covers a multitude of sins. We must be righteous & do to all men as we would they should do to us." Max Karl Ernst Ludwig Planck ( 1858 – 1947) was one of the most important German physicists of the late 19th and early 20th century, winning the Nobel Prize in Physics in 1918; he is considered to be the inventor of quantum theory. Johannes Kepler (1571-1630) a German mathematician, astronomer and astrologer. A key figure in the 17th century scientific revolution, he is best known for his eponymous laws of planetary motion. "Great is our Lord and great is His strength and there is no number to His wisdom. Praise Him heavens, praise Him sun, moon, planets, whatever sense you may use to perceive, whatever tongue to express our Creator. Praise Him heavenly harmonies, praise Him you witnesses of the (now) detected harmonies. Praise also you, my soul, your Lord the Creator as long as I shall be. For from Him and through Him, and in Him is all. Both what is perceived by the senses and by the mind, as much what we don't know at all as what we do know, a minimal part of it. To Him be praise, honor and glory into all eternity. Amen. "The Creator, the fountain of all wisdom, the approver of perpetual order, the eternal and superessential spring of geometry and harmonics." I have fled from Him, denied Him, crucified Him. Total submission to Jesus Christ ..."
"Knowing God without knowing our own wretchedness engenders pride. Knowing our own wretchedness without knowing God engenders despair." "Education without religion is in danger of substituting wild theories for the simple commonsense rules of Christianity." First message sent by the electric telegraph: "What hath God wrought"